Use Of Your Table(S) For The Duration Of The Night - Make It Your Party Base! Please ensure you drive into the park via the Chelsea Gate entrance, situated on Queenstown Road next to Chelsea Bridge. Please note, if you are using a Sat Nav device to reach the venue, please use SW8 4NW for directions to the vehicle access point. There is free car parking directly in front of the venue and a number of public pay and display car parks (free after 5pm) in Battersea Park. All parking is on a first come first served basis. This Christmas, immerse yourselves in the exciting and eclectic mix of ‘Around The World in 80 Days’ and discover some of the best food, drink and entertainment that the world has to offer! Make like Phileas Fogg, Indiana Jones, Marco Polo, and Nellie Bly and explore as this spectacular themed event takes you from ancient Egypt, via the souks of Marrakech and places of Czarist Russia to the snowy hills of Kathmandu. 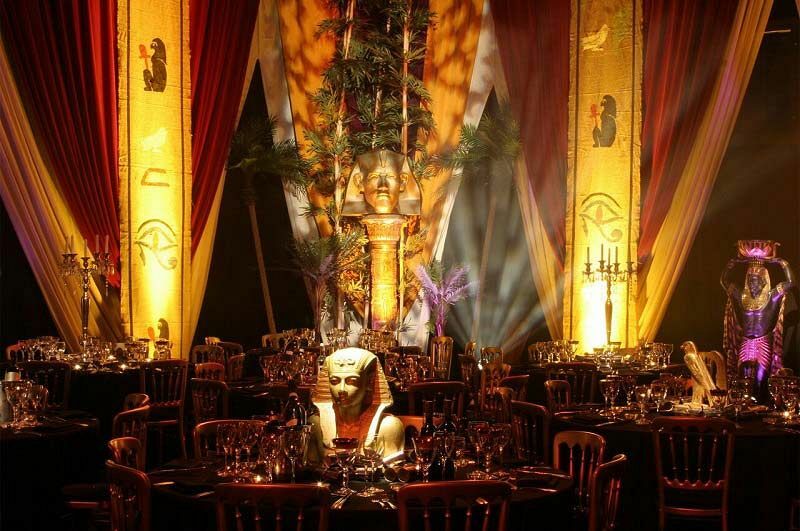 On arrival, guests will walk straight through to the venue’s spectacular atrium, where ancient Egypt and Sudan meets the hanging gardens of Babylon – a wonder that’s straight out of the ancient world. 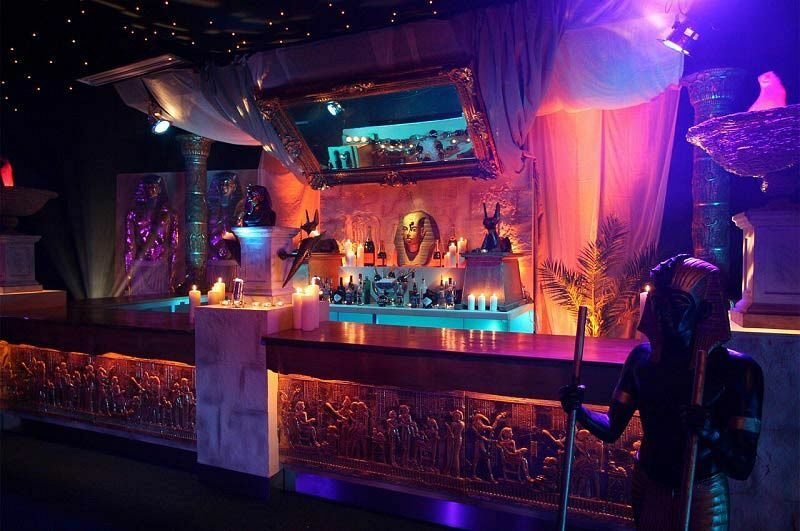 Take in the incredible sights of giant pharaohs, hieroglyphics, vines and trailing plants to provide additional drama in this stunning 9m high space and discover in the centre an oasis that comes complete with a fountain, palm trees and stylish banquet loungers. 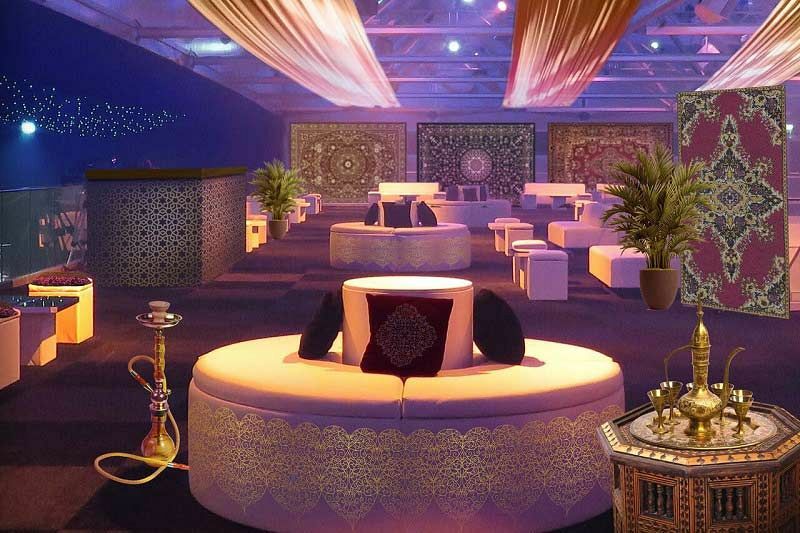 When guests make their way to the Mezzanine, they’ll be transported straight to Marrakech where hanging lamps, low seats with drapes and cushions, hookah and sumptuous wall hangings evoke the sights and the sounds of the Morrocan Riad. Feeling thirsty? No problem! Just make your way to the amazing souk-style bar area that’s full of street vendors and their vibrant merchandise and enjoy the sights and sounds. The main bar takes inspiration from the icy palaces of St Petersburg, and here, you’ll be able to indulge in a delicious array of drinks to quench your thirst. Get ready to treat your taste buds to a fabulous three-course meal, before discovering the evening’s grand entertainment! Have a go on the adrenaline pumping dodgems, try your luck on the fun casino, before dancing the night away on the state-of-the-art dance floor. 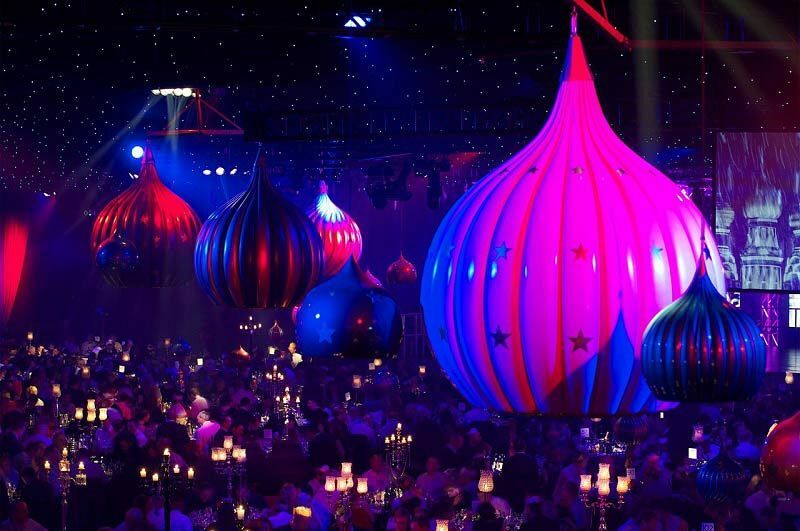 Send an enquiry through today to discover the delights of this ‘Around The World in 80 Days’ party night at this top venue in London!